One of the questions I am often asked is "How do you hear God's voice?" Its a great question and I am sure there are many answers. But my simple answer is to point people to where and how I hear the whisper of God in my life. I have never heard a booming audible voice of God. Sorry! 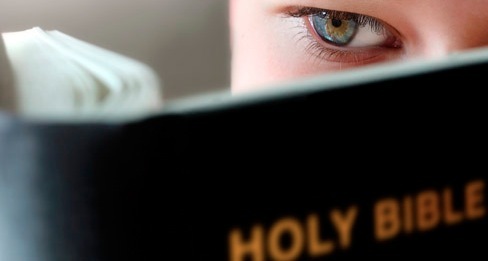 But very simply almost every time I pick up the Bible and read a few of the precious words be it on my computer screen, phone or even old fashioned paper it would seem that I eavesdrop on the voice of God. In a day when the Bible is more accessible than ever it would seem that engagement has followed an opposite curve. I have read that over 70% of Christians seldom or never read God's Word from one Sunday to another. So buck the trend and do something to make God part of your everyday life. What’s the most important voice in your life? You can probably picture a specific person’s face, even hear their voice in your head. That relationship didn’t “just happen.” You work on it. You value it. That’s the kind of relationship God wants with you as his adopted child. And what in your life could be more important than that? He wants you to talk to him, and he wants to talk to you—through his Word. Starting a new year is the perfect time to freshen relationships and renew dreams. What might your 2013 look like — if you leave space to hear from him? YouVersion’s Bible Plans make it easy to connect daily with God. People in the worldwide YouVersion community constantly share how much it means to make God’s Word a part of their everyday lives. If you haven’t already, download the Bible App to your device. Sign up for a Reading Plan. (Prefer the old fashioned way. Download a reading plan from MKCC website. Don't miss out this year in hearing God speak to you everyday!